Few physical endeavors will challenge your mettle as much as obstacle course racing (OCR). Held in open rural areas as well as urban environments such as stadiums, courses are peppered with diverse obstacles designed to test total-body strength as well as muscular and cardiovascular endurance. Since participants don't know what obstacles await, the only way to prepare is to prepare for absolutely anything! This month's workout does just that. 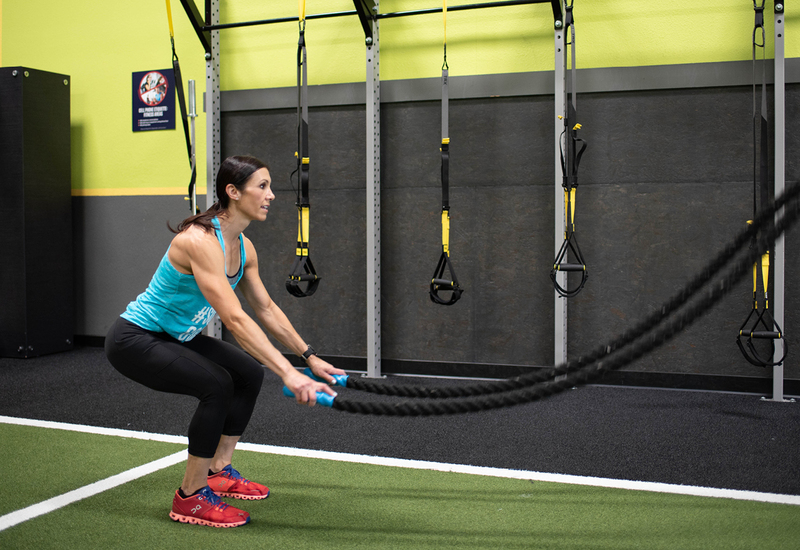 Designed by Elite Personal Trainer Nancy Couper, a sponsored and accomplished OCR athlete and certified Spartan SGX coach at ClubSport Pleasanton, this training plan will help OCR newbies and vets alike to dominate their next course. Complete each round 1-2 times, resting 2-3 minutes between each round. Rest 15-30 seconds between each exercise. Nancy Couper is an Elite Personal Trainer at ClubSport Pleasanton along with a performance enhancement and youth exercise specialist, Spartan certified SGX coach, certified group fitness instructor, and an experienced runner, accomplished obstacle course racer, and former competitive soccer player. Nancy is one of the coaches leading the OCR athlete's training program at ClubSport Pleasanton.